In the 1970s climate change was just beginning to come into the public awareness. The 70s saw the creation of Earth Day and the introduction of key environmental legislation like the Endangered Species Act, Clean Water Act & Clean Air Act. These were popular, bipartisan efforts under President Nixon. 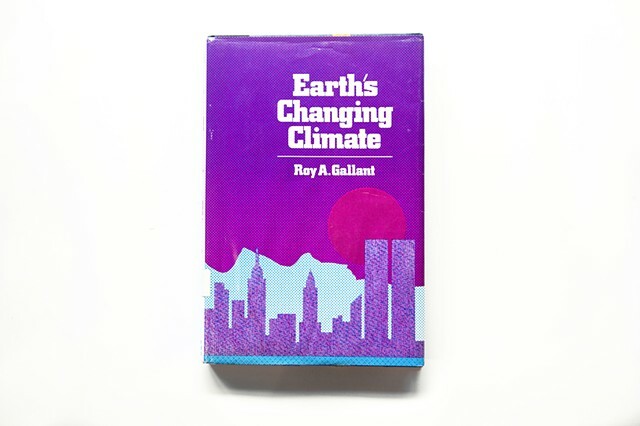 This book was published in the same year that President Jimmy Carter installed solar panels on the White House—and we seemed headed to a cleaner, brighter future, joined by our popular desires for clean air and water and a verdant environment for our children. However, with the election of President Reagan, neoliberalism, and the corporate protectionism of late-stage capitalism raised its ugly head. Reagan tore down the solar panels, a new culture of accelerated consumerism came alongside the decadence of the 80s and glorification of Wall Street—and climate denial began in earnest. We now know these anti-science efforts were funded by the fossil fuel industry, which successfully marginalized climate science and environmentalism as a "radical ideology." The research into climate change continued, and books continued to be published, but few seemed to be listening.